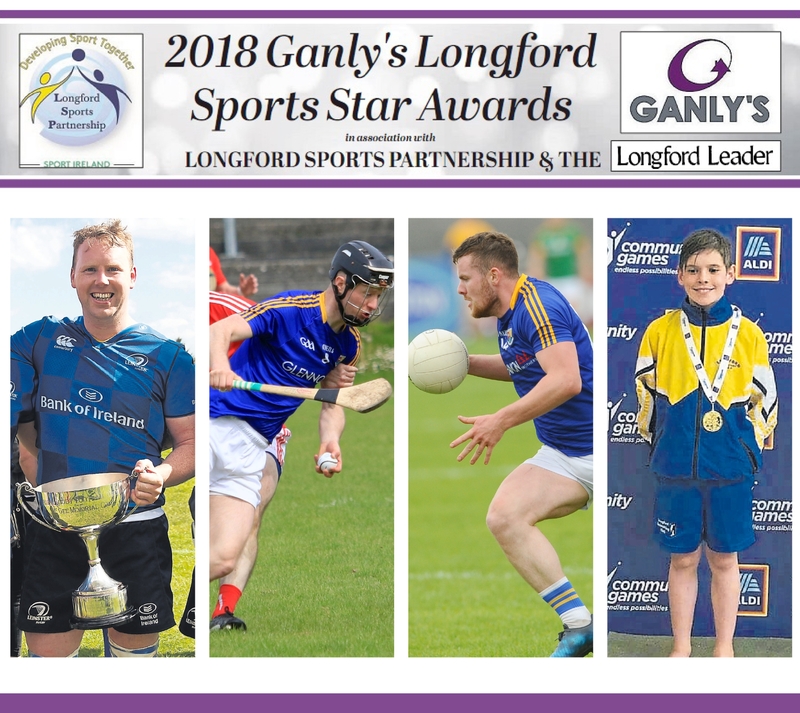 There are four contenders for the 2018 Ganly’s Longford Sports Star of the Month Award for May, in association with Longford Sports Partnership and the Longford Leader. Voting closes at 9pm on Wednesday, October 3. The Leinster Rugby Junior squad, featuring Longford players Kieran O’Gorman, Benny McManus and Dylan Quinn, were crowned the Interprovincial champions following a great 24-18 win over the Ulster Juniors at the Coleraine University grounds. Leinster had already secured wins over Leinster and Connacht and in another honour for Longford RFC the trophy for the best forward in the Interprovincial series was won by Benny McManus. Showing a lot of resilience in a game they had to win to keep alive their hopes of reaching the Nicky Rackard Cup semi-finals, Longford got the better of Louth in the Round 2 clash at Glennon Brothers Pearse Park. So often the matchwinner for the county senior hurlers in the past the prolific Joe O’Brien played another leading role in a well deserved success with the Clonguish sharpshooter firing over a total of nine points (eight in the first half) in the 0-19 to 0-12 victory. In producing a terrific team effort the outsiders Longford scored a famous victory over Meath to reach the Leinster Senior Football Championship semi-final for the first time in 30 years, holding out for a richly deserved 0-16 to 0-14 surprise success at Glennon Brothers Pearse Park. There were many Longford stars on this memorable occasion and particularly impressive in attack was Mullinalaghta man James McGivney, the chief marksman with four cracking points from play. Longford competitors produced many fine performances as a number of medals were won in the various events at the first stage of the 2018 Aldi National Community Games Finals at the University of Limerick. Longford were particularly successful in the swimming pool, most notably the Gold medal captured by Ashley Weafer (Drumlish/Ballinamuck) in winning the Boys U-10 Freestyle in an amazing time of 15.54 seconds.